The “Auro-Ratna Award” was started by Overman Foundation in 2010 as an attempt to recognize the invaluable contribution of Aurobindonians in the field of literature, research, philosophy and education and felicitate the ‘true children’ of the Divine who, as defined by the Mother, are those few individuals who have consecrated all of themselves and all they have—soul, life, work and wealth. Chitra Bose: Hailing from the illustrious zamindar family of Basirhat (now in North 24 Parganas), Chitra Bose was born on 17th March 1933 to Harendra Nath Majumdar and Santi Majumdar. Harendra Nath Majumdar, a nephew of Swami Brahmananda (a direct disciple of Sri Ramakrishna and the first President of Ramakrishna Mission), was a noted Congressman and active participant in the struggle for India’s independence. He was in the company of Mahatma Gandhi during his stay at Haidari Bhavan at Beliaghata. Later, Harendra Nath Majumdar became a minister in the cabinet of Dr. Prafulla Ghosh (the former Chief Minister of West Bengal) in the late 1960s. A devotee of the Mother, he was also the erstwhile Chairman of Sri Aurobindo Society West Bengal. From her childhood days Chitra Bose came in touch with personalities like Dr. Bidhan Chandra Roy, Dr. Prafulla Ghosh, Sri Atulya Ghosh and other eminent persons. 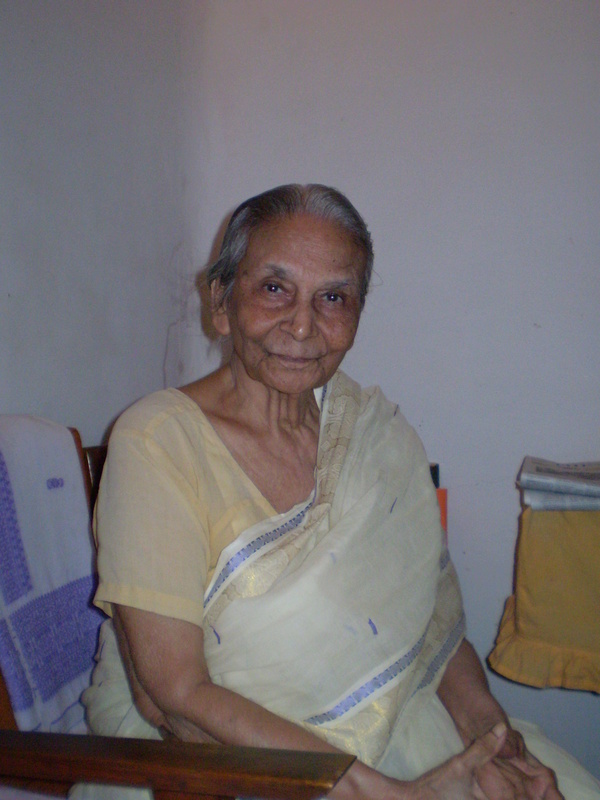 She did her schooling from Brahmo Girls School and later graduated from Presidency College, Kolkata. Eminent scholars like Prof. Amartya Sen and Prof. Sukhomay Chakravarty were her batchmates. She met the Mother at Sri Aurobindo Ashram, Pondicherry, where she used to visit with her father. She married K.C. Bose, the later Additional General Manager of Eastern Railway in the Indian Railway Service. After the Sakti Centre was established in New Alipore in 1972, a kindergarten school was established there by her in 1977, christened Sri Aurobindo Bal Mandir with only 5 students and mattresses to sit upon owing to lack of basic furniture in the then dilapidated building. Under her stewardship, Sri Aurobindo Bal Mandir grew up to be one of the eminent pre-primary schools of south Kolkata based on the ideas and ideals of Sri Aurobindo and the Mother, providing quality education with a present strength of 350 students in Nursery and Kindergarten sections. She was the mentor and guiding force of the school. She passed away on 13th August 2016. Manoj Das: Born on 27 February 1934 to Madhusudan Das and Kadambini Devi in Sankhari, a remote coastal village of Odisha, India, Manoj Das grew up amidst loving rural folks and Nature’s splendours but also had the horrific experience of a devastating cyclone followed by famine crushing his locality. At the age of eight he stood witness to his affluent home on the sea being plundered by savage gangs of bandits, not once but twice. In town for study, writing came to him spontaneously and his first book in Odia, Satavdira Artanada, was published when he was fourteen. At fifteen he launched Diganta, which, in course of time, grew into a significant literary journal in the state. In search of some panacea for human suffering he became a revolutionary youth leader while in college, leading several agitations, courting jail, becoming unopposed President of the University Law College Union, General Secretary of the Students Federation and playing an active role in the Afro-Asian Students Conference at Bandung, Indonesia, in 1956. His quest, however, led him to mysticism and, after serving as a lecturer in English at Cuttack for four years, he, along with his wife, Pratijna Devi, a scion of the Raj family of Kujang whose parents were renowned freedom fighters, joined the Sri Aurobindo Ashram at Pondicherry in 1963 which became their permanent abode. Though outside his home state he is widely known as one of the best-loved and serious among the Indian writers writing in English, he is also probably the foremost successful bilingual writer in the country. He had been a regular columnist on literary and cultural themes for some of the major newspapers in India such as The Times of India, The Hindustan Times, The Hindu and major Odia dailies. 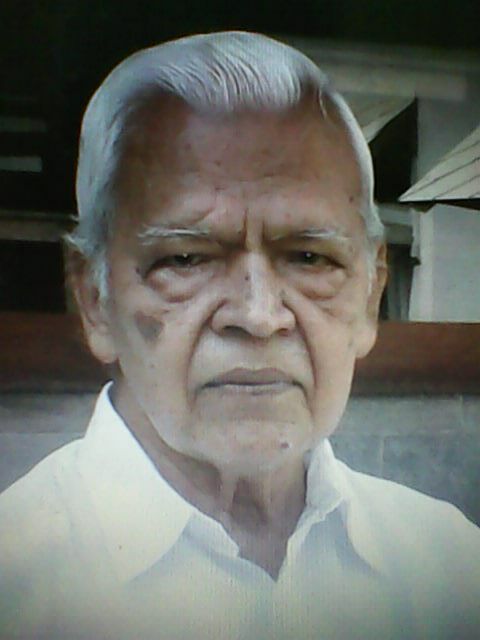 He was the editor of a prestigious monthly commanding an international circulation, The Heritage (1985-1989) published by the Chandamama Publications of Chennai and an author-consultant to the Ministry of Education, Government of Singapore (1981-1985), visiting the island nation twice a year for taking classes of a hundred teachers. His research in the archives of London and Edinburgh in 1971 brought to light some of the significant glimpses of India’s struggle for freedom led by Sri Aurobindo in the first decade of the 20th century. He received the first Sri Aurobindo Puraskar for this pioneering work, offered by Sri Aurobindo Bhavan, Kolkata (the birth place of Sri Aurobindo), supported by the Government of West Bengal. 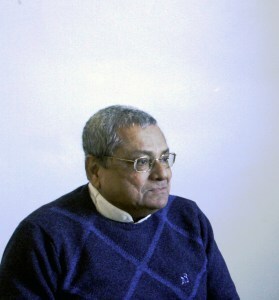 The numerous accolades he has received include India’s national award for creative writing—the Sahitya Akademi Award, the Odisha Sahitya Akademi Award (twice), the Sarala Award, the Sahitya Bharati Award (by now Odisha’s premier award that began with honouring him), the Bharatiya Bhasha Parishad (Kolkata) Award, The BAPASI (Booksellers and Publishers Association of South India) Award as the best writer in English in the South for the year 1998 and Rotary’s ‘For the Sake of Honour’. The Odisha Sahitya Akademi also bestowed on him its highest honour, the Atibadi Jagannath Das Samman. He was the leader of the Indian Writers’ Delegation to China in 2000. The President of India decorated him with the Padma Shri Award on the Republic Day, 2001. This was followed by India’s most prestigious award for literature, the Saraswati Samman. Utkal Sahitya Samaj, the hoary literary organization of his home state, Odisha, bestowed on him Utkal Ratna. While one university made him its honorary Professor Emeritus, the Utkal University of Culture chose him alone to be conferred with D.Litt. (Honoris Causa) in its very first convocation. That was followed by four other universities awarding him honorary D.Litt. including the oldest university of his home state, the Utkal University and his alma mater, the Ravenshaw University. The Sahitya Akademi, our national academy of letters, has conferred on him its highest honour, Fellowship, which, according to its constitution, is “reserved for the immortals of literature”. Lately he received the NTR National Literary Award conferred by the NTR Vigyan Trust, Hyderabad, as an outstanding Indian writer in May 2013 and in October 2013 he was awarded the Amrita Keerti National Award by the Mata Amritanandamayi Trust, Amritapuri, Kerala, on the occasion of the 60th birth anniversary of renowned mystic and philanthropist. In 2014 he was bestowed with the Samman Puraskar by Lala Diwan Chand Trust, New Delhi. He was chosen to deliver the first UNESCO lecture organized by the Department of Education, Ministry of Human Resources Development, Government of India in 1998 at the National Museum Auditorium at New Delhi. He was invited to deliver the first Sri Aurobindo Memorial Lecture instituted by the National Council of Educational Research and Training (New Delhi) at the Calcutta University, Presidency College Auditorium in 2008. He was invited to deliver Sahitya Akademi’s prestigious annual oration, the Samvatsar Lecture, at the Rabindra Bhavan auditorium at New Delhi in 2009. He was chosen to preside over the inaugural function of the 20th World Book Fair at New Delhi in 2012. He is one of those living writers on whom maximum number of scholars has done their doctoral theses either in English or in Odia. His major works in English include Selected Fiction of Manoj Das (Penguin), Chasing the Rainbow: Growing up in an Indian Village (Oxford University Press), A Tiger at Twilight and Cyclones, two novels clubbed together (Penguin), My Little India (National Book Trust) and The Bridge in the Moonlit Night and other Stories (National Book Trust). He is also one of the best-loved writers for children. While his Stories of Light and Delight, published in 1970, continues to be the largest selling story book for children in India till date, several other books for children like Books Forever, A Bride Inside a Casket, Legend of the Golden Valley, etc. are not lagging far behind. Among his non-fictional works are a monograph on Sri Aurobindo published by the Sahitya Akademi on the 15th of August, 1972 and released in a function in New Delhi the same day by the then President of India, V.V. Giri in celebration of the Master’s Birth Centenary and Myths, Legends, Concepts and Literary Antiquities of India (Sahitya Akademi). His edited works include The Hour of God and other Selections from Sri Aurobindo (Sahitya Akademi) and Streams of Yogic and Mystic Experiences, a huge volume comprising treaties by about 40 scholars. This volume commissioned to him by Centre for Studies in Civilization, Ministry of Education, is much appreciated for the elaborate Introduction written by him. Manoj Das is among those few living writers on whose life the Sahitya Akademi has produced a documentary film. About him, Ruskin Bond had once remarked, “There are only a few good story-tellers left in the world today and Manoj Das is one of them.” Dr. K. R. Srinivasa Iyengar had bracketed him in the art of short story with Rabindranath Tagore and Munshi Premchand. Shobha Mitra: Born on 14 December 1933 to Amarendranath and Ashalata Mitra, Shobha Mitra—whom the late M. P. Pandit had called “worthy child of the Mother”—visited Sri Aurobindo Ashram for the first time in August 1942. At the age of seventeen, on Wednesday 15 June 1951 she joined Sri Aurobindo Ashram with her mother. The Mother had arranged for their accommodation at Red House which was located near the Ashram Library. She was given work in the Publication Department under Prithwi Singh Nahar. A year later she was made a permanent inmate of Sri Aurobindo Ashram. She joined the Ashram School when its new session began in December 1952. Following the instruction of the Mother, she opted to study English, French, Philosophy and the works of Sri Aurobindo. She also began to learn music from Dilip Kumar Roy and Sahana Devi. From 1957 she started teaching French in the Ashram School. She was an accomplished dancer and had given several dance-recitals before the Mother. She had also given dance-form to Sri Aurobindo’s The Hour of God in 1964. She also composed the dance-drama The Rhythm Eternal which was staged thrice in May 1967. She has also played a pivotal role in organizing musical programmes of artists like Birendra Kishore Ray Choudhury, Tara Ghoshal, Jyotsna Bole, Chandralekha and Pankaj Kumar Mullick to name a few who visited the Ashram. On 14 December 1965—on Shobha’s birthday—the Mother asked her to start a Music Section in Sri Aurobindo International Centre of Education which she built up from scratch. Inspired by the Mother, she also began to compose music. In 1972, on the occasion of Sri Aurobindo’s Birth Centenary, she conceptualized a special programme titled Sri Aurobindo and the Mother on India and Her Future. In that very year, a long-playing record of her musical compositions titled Loving Homage was brought out by Sri Aurobindo Society. For quite some time she had conducted singing classes in Auroville. Shobha Mitra’s recorded compositions include Durga Stotra, Invocation to Mother India, Salutations, Invocation, Adoration, Matri Puja (songs of Kobi Nishikanto), Laha Pranam, All We Owe to Thee, India and Her Future, Esho Gahi Gaan (songs in Bengali for children), Aspiration, Towards A Luminous Future, Om Namo Bhagawate (Hymns of T. V. Kapali Sastri), Vers Un Avenir Lumineux (a musical presentation on the occasion of the unveiling of Sri Aurobindo’s statue at UNESCO, Paris, on 16 September 2009), Century’s Salutations, Pujar Argha, Anjali, Vandanam (songs of Pujalal) and Our Gratitude. Some of her memorable musical compositions performed at Sri Aurobindo Aurobindo Ashram, Pondicherry, include The Story of Creation (the Mother’s story dramatized for the 1st December programme), The Rhythm Eternal (performed for the special darshan of 4 May 1967), Argha (performed before the Mother), A Musical Journey Around the World (songs in twenty five languages), India and Her Future (in 1972 during Sri Aurobindo’s Birth Centenary for which she got an offer for world tour which the Mother refused), Bharatavarsham, Janmabhumi, Towards the Future (during Sri Aurobindo’s Birth Centenary in 1972), The Mother (during the Mother’s Birth Centenary Celebrations), A Call to the Young, Compositions based on the Prayers and Meditations (for 1st December programme), To the Mystic Fire, Surya Namaskar (for 2nd December programme), Glimpses of Indian Music (for which she got an offer from the Films Division of India to make a documentary based on the programme but the late Pranab Kumar Bhattacharya, Director of Physical Education Department of Sri Aurobindo Ashram, refused), Kandari (a poem of Nirodbaran set to music) and Sharanam Mama (songs of Vidyapati Kokil). In 2012 Shobha Mitra’s first book in Bengali Sri Mayer Dibya Sannidhye was published. The English translation of the aforesaid book, Living in the Presence, was published in 2013. In that very year she received the prestigious “Sri Aurobindo Puraskar” from Sri Aurobindo Bhavan, Kolkata. Dr. Ananda Reddy: Born in 1947, Dr. Ananda Reddy joined the Sri Aurobindo International Centre of Education, at the age of 11 years, in 1958. Born to a family of philosophies, his father Prof. V. Madhusudan Reddy, who did his PhD on Sri Aurobindo’s Philosophy of evolution, brought him out to the Sri Aurobindo Ashram and left him in the care of the Mother. From 1958 to 1969, Ananda Reddy was student of the Ashram School where he studied passionately most of the works of Sri Aurobindo. Inspired by the ideals of the New Consciousness and the New World, as envisioned by Sri Aurobindo and the Mother, Ananda joined, with the Blessings of the Mother, Auroville. He looked after the Aspiration School in its initial stages until he went away in 1976 to Hyderabad to pursue higher studies. On completing his Masters in Literature and in Philosophy in 1978, he pursued his M.Phil at Osmania University with a view to attempt PhD in Sri Aurobindo’s thought. However, his aspiration was fulfilled only in 1988. He joined the Post-Doctoral studies and taught for almost two years at Pondicherry University in the Sri Aurobindo School of Eastern and Western thought. On getting an opportunity to teach philosophy at Assumption University, Bangkok, he left India and experienced teaching in a foreign university from 1992 to 1995. On his return to India, he started his dream project at Pondicherry: Sri Aurobindo Centre of Advanced Research (SACAR), in 1996. On 29th February 2000, SACAR was inaugurated by Nirodbaran. In 2008, the Indira Gandhi Open University (IGNOU) invited SACAR to become its Recognised Research Centre for conducting different programmes in Sri Aurobindo Studies. Apart from conducting workshops and participating in International Seminars all over Europe and the United States, Dr. Reddy took regular classes for adults at the Sri Aurobindo Ashram, giving them explanations of Sri Aurobindo’s books: The Life Divine, Savitri, Synthesis of Yoga, Essays on the Gita. Along with these classes, he also gave weekly classes at Savitri Bhavan, Auroville, on Sri Aurobindo and the Mother’s vision. He is at present the Director of SACAR and also looks after the Institute of Human Studies as its Chairman. Apart from his regular teaching at SACAR and Savitri Bhavan, he is also a teacher at “Knowledge”, the higher course division of Sri Aurobindo International Centre of Education. His published works include titles like Deliberations on The Life Divine (Volumes I—IV), Management by Consciousness: The Mother’s Way and Madhumoyee Ma Antare Bahire etc. Dr. Prema Nandakumar (b: 1939) is a famous independent researcher, translator, critic and authoress who writes in Tamil and English. She was the first to submit the thesis of doctoral degree in Savitri (Sri Aurobindo’e epic poem) in Andhra University. It was published as A Study of Savitri in 1962. 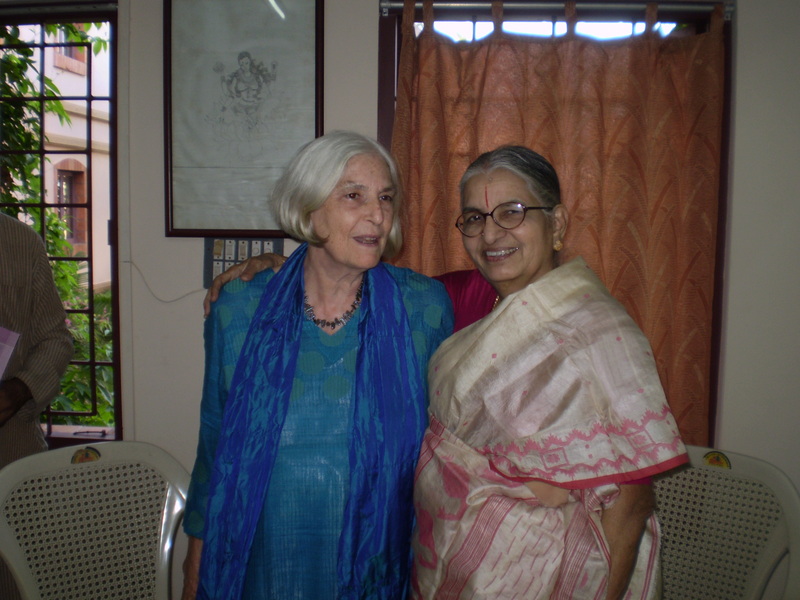 Her post-doctoral work has been published as Dante and Sri Aurobindo in 1981. She has authored about twenty-five books in English and Tamil. She is a recipient of several awards which include the ‘Sri Aurobindo Puraskar’ and ‘Panditha Ratna’. She has been a member of the Academic Council, Central Institute of Higha Tibetan Studies, Sarnath, Varanasi (1988-91); Member, Board of Studies in English, Andhra University, Waltair; Manba, National Executive of The Indian P.E.N., Senate member of Bharathidasan University and Visiting Professor, Swami Vivekananda Chair, Mahatma Gandhi University. Her published works include titles like A Study of Savitri, The Glory and the Good, Dante and Sri Aurobindo, Subramania Bharati, Sri Aurobindo: A Critical Introduction, The Mother of Sri Aurobindo Ashram, etc. Shraddhavan is a writer, educator, translator and editor. She was a student of English language and literature at Bristol University in the United Kingdoms who joined Auroville in 1970 and two years later the Mother gave her the name of ‘Shraddhavan’. She is the In-charge of ‘Savitri Bhavan’, the centre for Sri Aurobindo studies at Auroville which emphasizes on Sri Aurobindo’s epic poem, ‘Savitri’. She also serves as the Editor of the journal Invocation published by ‘Savitri Bhavan’. 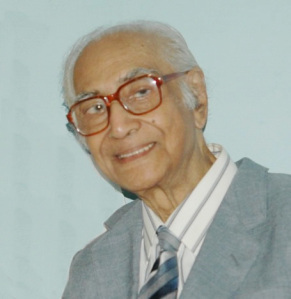 Robi Gupta (25.7.1926—22.12.2013) was the youngest son of the late Nolini Kanta Gupta. He became an inmate of Sri Aurobindo Ashram in 1944. He was one of the foremost poets of Sri Aurobindo Ashram whose works were appreciated by Sri Aurobindo himself who gave him the title of ‘Tagore of the Ashram’. 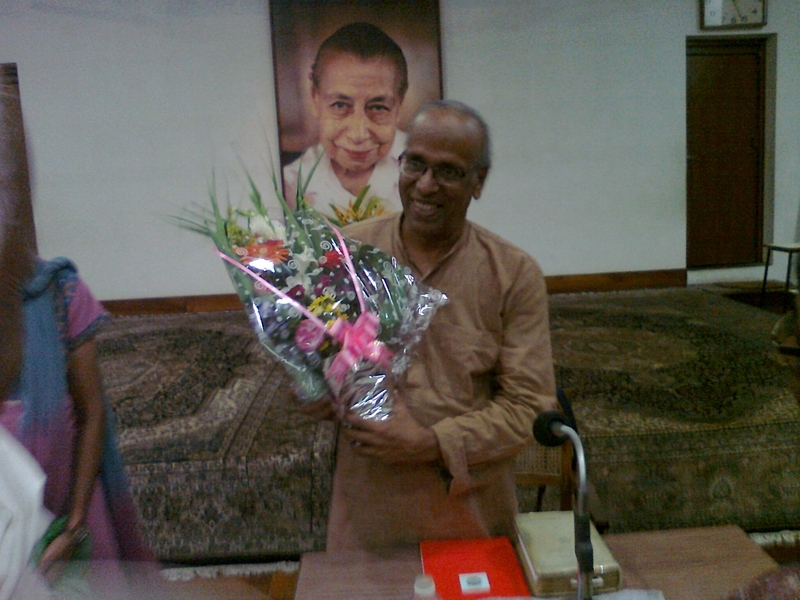 A linguist and the recipient of the prestigious ‘Sri Aurobindo Puraskar’, Shri Robi Gupta’s published works in Bengali include Swapani (1950), Marmomoral (1952), Mandakini (1953), Sarani (1965), Gitiargha (1965), Shiulijhora Bhorer Alo (1998) and Ahoroni (2009). 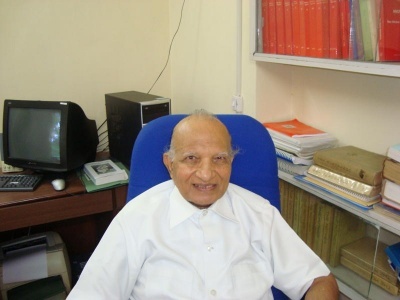 Dr. Kireet Joshi (10.8.1931-14.9.2014) studied philosophy and law at the Bombay University. He was selected for I. A. S. in 1955 but in 1956 he resigned to devote himself at Sri Aurobindo Ashram to the study and practice the Integral Yoga of Sri Aurobindo and the Mother. He taught Philosophy and Psychology at the Sri Aurobindo International Centre of Education at Pondicherry and participated in numerous educational experiments under the guidance of the Mother. In 1976 the Government of India invited him to be the Educational Adviser in the Ministry of Education. In 1983 he was appointed Special Secretary to the Government of India and held this post till 1988. From 1987 to 1993 he was the Member-Secretary of Rashtriya Veda Vidya Pratishthan. From 1987 to 1990 he served as the Vice-Chairman of the UNESCO Institute of Education, Hamburg. In the Ministry of Education, he was in-charge of Higher Education, National Commission on Teachers, Languages, Youth Affairs and UNESCO affairs. He was also the Chairman of Auroville Foundation and Indian Council of Philosophical Research. His published works include Sri Aurobindo and Integral Yoga, Sri Aurobindo and the Mother, Education for Character Development, Education for Tomorrow, Education at Crossroads, Glimpses of Vedic Literature and Veda and Indian Culture and Philosophy and Yoga of Sri Aurobindo and Other Essays. Dr. Prithwindra Mukherjee (b. 1936) is the grandson of the famous revolutionary Jatindranath Mukherjee alias Bagha Jatin. He came to Sri Aurobindo Ashram in 1948, studied and taught at Sri Aurobindo International Centre of Education. He was mentioned by the Sahitya Akademi manuals and anthologies as a poet before he attained the age of twenty. He has translated the works of French authors like Albert Camus, Saint-John Perse and René Char for Bengali readers, and eminent Bengali authors into French. He shifted to Paris with a French Government Scholarship in 1966. He defended a thesis on Sri Aurobindo at Sorbonne. He served as a lecturer in two Paris faculties, a producer on Indian culture and music for Radio France and was also a freelance journalist for the Indian and French press. His thesis for PhD which studied the pre-Gandhian phase of India’s struggle for freedom was supervised by Raymond Aron in Paris University. In 1977 he was invited by the National Archives of India as a guest of the Historical Records Commission. He presented a paper on ‘Jatindranath Mukherjee and the Indo-German Conspiracy’ and his contribution on this area has been recognized by eminent educationists. A number of his papers on this subject have been translated into major Indian languages. He went to the United States of America as a Fullbright scholar and discovered scores of files covering the Indian revolutionaries in the Wilson Papers. In 1981 he joined the French National Centre of Scientific Research. He was also a founder-member of the French Literary Translators’ Association. In 2003 he retired as a researcher in Human and Social Sciences Department of French National Centre of Scientific Research in Paris. 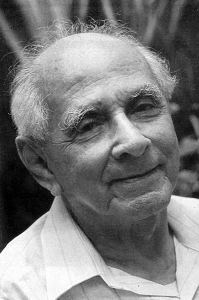 A recipient of ‘Sri Aurobindo Puraskar’, in the same year he was invited by Berlin Philharmonic Orchestra for the world premiere of Correspondances, opus for voice and orchestra where the veteran composer Henri Dutilleux had set to music Prithwindra’s French poem on Shiva Nataraja, followed by texts by Solzhenitsyn, Rilke and Van Gogh. In 2009 he was appointed to the rank of chevalier (Knight) of the Order of Arts and Letters by the Minister of Culture of France. He has penned books in English, Bengali and French and some of his published works include Samasamayiker Chokhe Sri Aurobindo, Pondicherryer Dinguli, Bagha Jatin, Sadhak-Biplobi Jatindranath, Undying Courage, Vishwer Chokhe Rabindranath, Thât/Mélakartâ : The Fundamental Scales in Indian Music of the North and the South (foreword by Pandit Ravi Shankar), Poèmes du Bangladesh, Serpent de flammes, Le sâmkhya, Les écrits bengalis de Sri Aurobindo, Chants bâuls, les Fous de l’Absolu, Anthologie de la poésie bengalie and Les racines intellectuelles du movement d’independence de l’Inde (1893-1918) ending up with Sri Aurobindo, “the last of the Prophets”. K.D. Sethna joined the Sri Aurobindo Ashram at the age of twenty three on 16 December 1927. On his request he was given the name of ‘Amal Kiran’ meaning ‘The Clear Ray’ by Sri Aurobindo on 3 September 1930. From 1949 he was the editor of the monthly journal ‘Mother India’. His published works include volumes on poetry (The Secret Splendour, The Adventure of the Apocalypse, Overhead Poetry, Altar and Flame and Poems by Amal Kiran and Nirodbaran), literary criticism (Parnassians, Sri Aurobindo on Shakespeare, Sri Aurobindo—The Poet, The Poetic Genius of Sri Aurobindo, “Two Loves” and “A Worthier Pen”, The Obscure and the Mysterious: A Research in Mallarme’s Symbolist Poetry, Blake’s Tyger—A Christological Interpretation, Talks in Poetry, The Inspiration of Paradise Lost, “A Slumber Did My Spirit Seal”: An Interpretation From India, Adventures in Criticism, The Thinking Corner, Classical and Romantic: An Approach Through Sri Aurobindo and Sri Aurobindo on Greece), philosophy (Teilhard de Chardin and Sri Aurobindo, The Spirituality of the Future, The Vision and Work of Sri Aurobindo, Aspects of Sri Aurobindo, The Mandukya Upanishad and The Development of Sri Aurobindo’s Spiritual Thought and the Mother’s Contribution to it), history and culture (Evolving India, The Indian Spirit and the World’s Future, The Problems of Aryan Origin, Karpasa in Prehistoric India, The Sun and the Rainbow, Ancient India in a New Light, The Beginning of History for Israel, India and the World Scene, Problems of Early Christianity, Teilhard de Chardin and Our Time, Problems of Ancient India, The Virgin Birth and the Earliest Christian Tradition, Life-Poetry-Yoga, Volumes I-III, A Follower of Christ and a Disciple of Sri Aurobindo and The English Language and the Indian Spirit. He was also the recipient of the Devavrata Bhishma Award in 1994, Sri Aurobindo Puraskar in 1998 and Certificate of Merit in 2009 the last being awarded by the Department of Information and Publicity of the Government of Pondicherry. 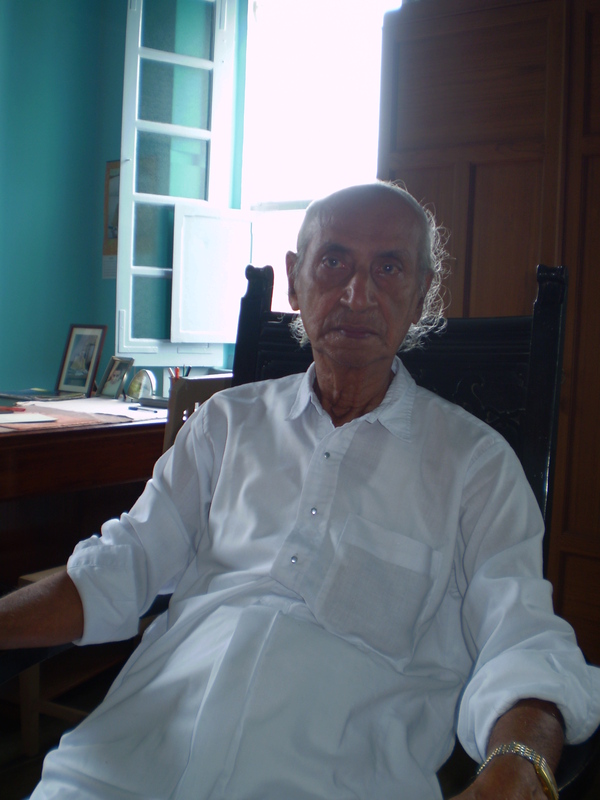 Prof. Arabinda Basu (22 July 1918—3 July 2012) was a noted professor of Philosophy whose association with Sri Aurobindo Ashram began in 1938. After obtaining his M.A. degree in Philosophy he joined the Benares Hindu University as a lecturer in Indian Philosophy and Religion. He was also a Spalding Lecturer in Indian Philosophy and Religion at the University of Durham in United Kingdom, visiting professor at Claremont College of Claremont (California), Professor of Religion at Dubuque (Iowa), Professor of Philosophy at Punjab University (India), professor at the Institute of Ecumenical Studies at Celigny (Switzerland), lecturer at the Harvard School of Divinity and Centre for the Study of World Religions at Harvard. He became an inmate of Sri Aurobindo Ashram in 1968 and joined Sri Aurobindo International Centre of Education as a professor. He served as the Editor of the yearly magazine Gavasena. He was also an eloquent speaker who was invited quite often to speak on the philosophy of Sri Aurobindo. In 2011 an anthology of his articles, mostly delivered as lectures, was published under the title of Sri Aurobindo: The Poet, Yogi and Philosopherby the Centre of Sri Aurobindo Studies (Jadavpur University). His other publications include A Preface to the Study of the Bhagavata Purana, Brahman and Ishwara, in the Philosophies of Shankara and Sri Aurobindo, Sri Aurobindo- A Garland of Tributes (Editor), The Mother – A Bouquet of Homage (Editor) and Nirodbaran – Sadhak and Poet (Editor). His articles have also been published in the Encyclopedia Britannica, History of Philosophy – Eastern and Western – Edited by S. Radhakrishnan and The Cultural Heritage of India – Published by the Ramakrishna Mission Institute of Culture – in seven volumes. Jugal Kishore Mukherjee (9 July 1925-15 December 2009) was born in a remote village of Bengal. While he was still a college student he came in contact with Sri Aurobindo Pathamandir of Kolkata and thus turned to Sri Aurobindo and the Mother. A student of the renowned physicist Meghnad Saha, he joined Sri Aurobindo Ashram as an inmate in 1949 at the age of twenty-four. He taught Physics in the Ashram School and also organized the Higher Course of Sri Aurobindo International Centre of Education and served it as its In-charge. Not only was he a brilliant teacher but was also an extraordinary writer. His published works include The Destiny of the Body (1975), Sri Aurobindo’s Poetry and Sanskrit Rhetoric (1989), From Man Human to Man Divine (1990), Sri Aurobindo: The Smiling Master (1995), K.D. Sethna: The Wonder that is Amal Kiran (1994), The Practice of the Integral Yoga (2003), The Mystery of Death, Fate, Karma and Rebirth (2004), Sri Aurobindo Ashram: Its Role, Responsibility and Future Destiny, The Ascent of Sight in Sri Aurobindo’s Savitri, Principles and Goals of Integral Education in English and Purna Yoger Sadhan Paddhati and Mrityu Rahasya in Bengali. He was awarded the ‘Auro-Ratna Award’ posthumously and Shri Manoj Das Gupta (Managing Trustee of Sri Aurobindo Ashram Trust, Pondicherry) had accepted the award on his behalf. A site I visited today, and found I a m blessed. Important information I am reading. Thanks.